WASHINGTON — One key indicator of the health of the US aerospace and defense sector, foreign military sales, rose to a record high of $46.6 billion for fiscal 2015, but US officials are warning of a dip in sales next year. The 2015 FMS increase was linked to the war against the Islamic State, according to the chief of the Pentagon agency charged with shepherding those sales. However, FMS typically has an inverse relationship to OPEC oil prices, and defense officials expect falling oil prices and international defense budgets to spark a decline in their sales for fiscal 2016. Defense Security Cooperation Agency (DSCA) director Vice Adm. Joseph Rixey said that 2015 was the agency's biggest year yet, outside of a 2012 boost from F-15 fighter jet sales to Saudi Arabia. DSCA processed $34.2 billion in sales in 2014, and $27.8 in 2013. "It's just been volume, there's not been one big sale," said Rixey, who appeared at the Association of the US Army's annual meeting in Washington last week. "We've had to double down contracting officers just to keep up the pace, and they barely make the pace." DSCA averages 140 new requests each month and has a backlog of 13,000 active cases. To keep up, Rixey last year launched plans to streamline its processes, forecast probable requests and prioritize the needs of the regional combatant commanders. The Army's security assistance programs totalled $20.1 billion across 150 countries in fiscal 2015, up from $20.7 billion last year and $10.6 billion the year before, according to Maj. Gen. Mark McDonald, chief of Army Security Assistance Command. "We're doing a lot of relationship building," McDonald said. "What we do is bring our 'Army strong' to your country. When you buy from us, you pretty much get the exact same equipment, service and capability that we give our soldiers." Army Materiel Command's Gen. Dennis Via said FMS is a "growing business," and noted the "70-plus" countries at the show are interested in doing business with the US. Still, as Eastern Europe and Pacific region sales are climbing, Mideast sales have slowed and are projected to fall to $15 billion next year. "Believe it or not, a lot of our partner nations are in the same crunch as we are," said Army acquisition executive Heidi Shyu. "Their budgets are also coming down, so it's anticipated their priorities also change, so it's just an estimate." A few large buys fueled a dramatic jump in the Army's FMS total, from $14 billion in the third quarter, to $20.1 billion by year's end. 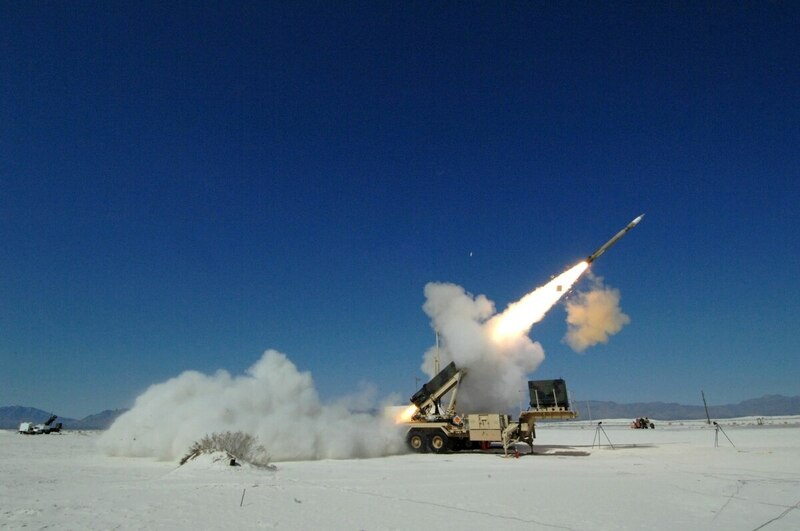 Best sellers abroad tend to be helicopters and missiles, and broadly speaking, the Patriot air and missile defense system saw a lot of business, officials said. Eastern European countries are seeking weapons systems, and communications, intelligence, surveillance and reconnaissance capabilities the US is cleared to sell. A multitude of sales to Iraq are pending, though Via and Shyu declined to provide details. Alek Jovovic, principal at the a strategy and management consulting firm Avascent, said the US Army has not only been supporting major sales to the Gulf countries in response to the Islamic State and developments in Yemen, but the strengthening of missile defense capabilities in response to the perceived weakening of Western pressure on Iran. "With an eye on sales facilitated via the US Army security cooperation process, we expect continued robust sales for missile defense systems, rotorcraft and other systems – these tend to be the larger individual price tags," Jovovic said. "However, the FMS process is complex, supports thousands of transactions, and is not driven by immediate end-customer demand alone – process, US policy, geostrategic developments, funding, and other drivers come into play." Avascent anticipates a prolonged oil price slump to drive some price sensitivity, but in the near term, immediate security requirements will be non-negotiable for most countries, including those in the Gulf. Beyond the Army, Avascent projects continued opportunities for sales of combat and support aircraft in the Mideast, North Africa, the Asia-Pacific region and beyond, as well as some major maritime kit to include larger vessels, maritime-based air defense systems, and weapons systems. Unmanned airborne vehicle sales, on the other hand, have been stymied given the "particularly onerous scrutiny" they face under US export control requirements, Jovovic said. Washington's budget uncertainty will continue to drive industry to compete in pursuit of attractive international markets whether or not there is robust growth in them, Jovovic said. What's new is that local indigenous competitors and partners are springing up in many of these newly-coveted foreign markets. That same budget uncertainty, and the threat of a government shutdown, may be undermining the international community's confidence in the US FMS process. The government is operating on a three-month stop-gap spending measure, which locks in 2015 funding levels, and President Barack Obama's promise not to sign another such measure – a gambit to force a budget deal – is fueling fears of a shutdown if no deal arrives in time. Prospective foreign buyers worry a shutdown, and resulting federal worker furloughs, will slow an FMS process considered already-protracted and hinder on-time deliveries, neither of which "inspire confidence in the international community," Samir Mehta, president of Sikorsky's Defense Systems & Services unit, told Defense News. "When you have a budget impasse and there are pundits talking about government shutdowns, continuing resolution, what does that mean," Mehta said. "Foreign customers start to get spooked by that."